One of the types of boats we offer at Freedom Boat Club is a speed boat. Unlike other types of boats, the speed boat is powered by an engine and allows you to zoom across Lake Lanier at top speed while enjoying participating in water activities at your leisure. At Freedom Boat Club, we pride ourselves on having an abundance of different speed boats for your riding pleasure. Whether you want to waterski, use a water tube, or just enjoy seeing how fast you can go around Lake Lanier, our speed boats are made to bring the fun. If you’re interested in joining a boating club that allows you to choose the type of boat you want to take out onto Lake Lanier, then check out Freedom Boat Club. We offer affordable memberships that allow you to save money when it comes to owning a boat. Instead of having your own boat and paying for the maintenance, storage, and general upkeep, we allow you to take out whatever type of boat you want. All you have to do is pay for a membership. Come on down to our boating club to take advantage of this great offer. 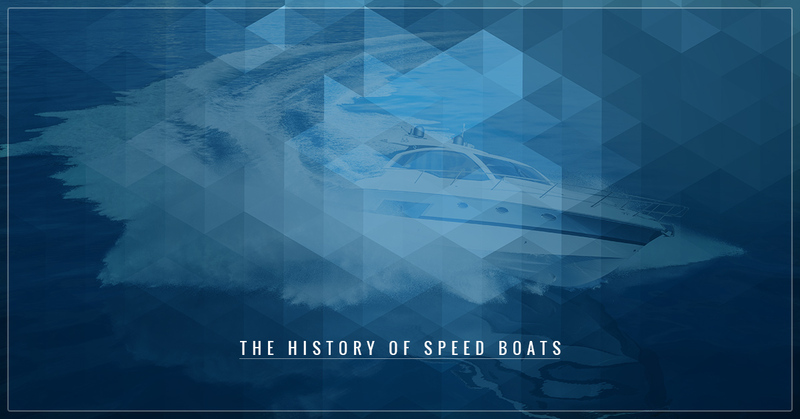 If you’re a lover of speed boats, then you’ll enjoy diving into the history of speed boats in today’s blog. When do you think speed boats were invented? It had to be before Miami Vice in the 1980s, but not so long ago since electricity wasn’t implemented until 1879. The steam engine, which was one of the first boats to have a screw propeller attached to it and one of the first boats with an engine, was used as early as the 18th century. If you’ve read Mark Twain, then you probably know all about steam engines. As the 19th century arrived, the petrol engine and the internal combustion engine were invented. In 1886, the earliest form of the petrol engine was added to a boat and tested on the Neckar River, which is in Germany. The power of this engine was only at one horse power. To give you a good idea of how fast that is, one horsepower is about 550 foot-pounds per second. In today’s society, a Toyota Corolla has 130-160 horsepower. As the Germans continued to try to work on the petrol engine, across Europe in England the Priestman Brothers began to successfully build a motor boat. The inventing trials for their version of a motor boat began in 1888. Powered with kerosene and a high voltage ignition system, the brothers continued to work on the project for two years until they had a large production scale finished. In 1890, the Priestman brothers boats began to be used in the canals. Another inventor of the speed boat or motor boat collaborated with his brother over 15 years to perfect what is now closer to what is now considered the modern speed boat. The boat that they were building had an advanced revving engine that was steered with a paddle wheel, a benzene at 800 r.p.m. and a reversible propeller. In addition, he had added a carburetor, which is what mixes the fuel and air properly for an internal combustion engine. This is the earliest version of a speed boat. All of these factors contributed to the beginning of the speed boat, but how did speed boats end up looking the way they do today? As the speed boat was invented, it evolved overtime to the beautifully swift water vessels they are currently. Once the speed boat had all of the gadgets figured out, it began to go through some makeovers and began to have features that set them apart from other speed boats. Instead of having one type of speed or motor boat they began to have differences between them. Speed boats transformed from being used to get from point A to point B, to people finding more and more fun in them and speed boat races began to take place. In 1903, the American Power Boat Association was formed and racing between speed boats began to take place on the Hudson River in 1904. Speed boat racing began to really take off in the 1950s and gained more momentum in the ‘60s. Speed boats began to be built with fiberglass and other materials to make them go faster and look better. People with hydroplane backgrounds began to race in speed boating races and as others became more and more famous from racing speed boats a certain glamor began to surround the speed boat. Miami Vice, the 1980s TV show that featured speed boats in the opening credits and often throughout the show, helped to glorify speed boats. Soon, businessmen, lawyers, and doctors, who wanted to feel like a bad boy and go fast behind not only a car, but a boat too, were taking advantage of the look that Miami Vice depicted. Speed boats are a great way to capture your youth and to let your wild side out for an afternoon to this day. If you’re interested in going fast across Lake Lanier and enjoy the wind going through your hair, then come down to Freedom Boat Club and take a speed boat out. To become a part of Freedom Boat Club, take the time to fill out the form below and we’ll contact you as soon as possible.